It does over 200 mph and has an insane 0-60 mph time. Think the stock Porsche 911 Turbo has more power than you would ever need? A German tuning house by the name of “O.CT” wants you to think again. 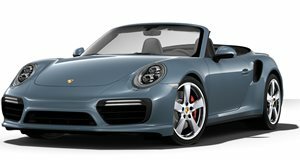 With the launch of its new kit for the cabriolet version of the 911 Turbo, Porsche's sporty droptop can easily keep up with more expensive supercars. You can take this ride from a full stop to 62 mph in just 2.77 seconds, this according to the tuning house, of course. (Take such insane times with a grain of salt.) But the insanity doesn't just end there. You can hit 124 mph in just 9.32 seconds after launch. In 15 seconds, you’ll be at 155 mph, and if you’re brave enough to push it even further,you can top out at a speed of 208 mph. This beast of a convertible puts out 650 pound-feet of torque, and boosts the stock horsepower to 660 horses. To put that in perspective, this car is only one horsepower short of the new Ferrari 488 GTB in stock form. So just how was all this power added? The list of upgrades is pretty extensive. You get O.CT software for “modified engine management” and quicker acceleration thanks to alterations to the gearbox. There's also a new exhaust system to reduce engine back-pressure, two new air intakes, two new intercoolers, and many other extras.